Where should security spending be focused in the next year? What’s the most pressing threat to business? Experts debate the biggest risks. Research on tech spending plans for the year ahead show cloud, mobile and Internet of Things security are all priorities. As these investments grow, so do concerns about cybersecurity. According to IDC, the potential cybersecurity and physical safety concerns associated with IoT devices will pressure CIOs at Global 2000 companies to increase IoT security spending by up to 25% by 2020. A recently published Forrester study finds spending on global cloud security solutions will reach $3.5 billion by 2021 — an annual growth rate of 28%. And Thales 2018 Data Threat Report found 57% of businesses report the bulk of their security budget is allocated to endpoint and mobile security technologies. So which represents the greater threat to organizations – IoT, cloud, or mobile? We reached out to cybersecurity and tech experts to get their perspective on where the biggest vulnerabilities lie – and what steps security teams should take to tighten those vulnerabilities. One of the biggest IoT risks is the lack of security right out of the box for many devices, according to some experts. "IoT devices by their sheer number (there are more IoT devices now than people on the planet) continue to be a concern, especially at the lower end of the market. Configuration, enabling automatic updates, and changing default passwords are a must,” says Nige Willson (@nigewillson), Global Strategist at Microsoft. Others believe the cloud poses the greater risk to organizations. “As more organizations move to the cloud, the cloud will continue to be vulnerable, not due to cloud insecurity, but more so due to lack of employee security awareness,” says Robert Siciliano (@RobertSiciliano), security analyst with Hotspot Shield. Among the steps security teams should take to tighten cloud vulnerabilities, Flath suggests: leveraging sound cloud security methodology; deploying a next-generation firewall in front of a new cloud infrastructure; and controlling remote access users with a secure VPN and two-factor authentication (2FA). “Taking a security-first mentality and adopting for cloud considerations will allow for the great scale and growth that cloud computing offers,” Flath says. Diana Nolting (@DianaNolting), Product Manager at BlueLock, says cloud is particularly risky due to the nature of third-party vendor relationships. Jacob Calbillo (@jakecalbillo116), Information System Security Engineer (ISSE), suggests that simple checks and balances can go a long way in tightening up cloud vulnerabilities. A few of the experts we contacted believe mobile, IoT and cloud all deserve equal attention. 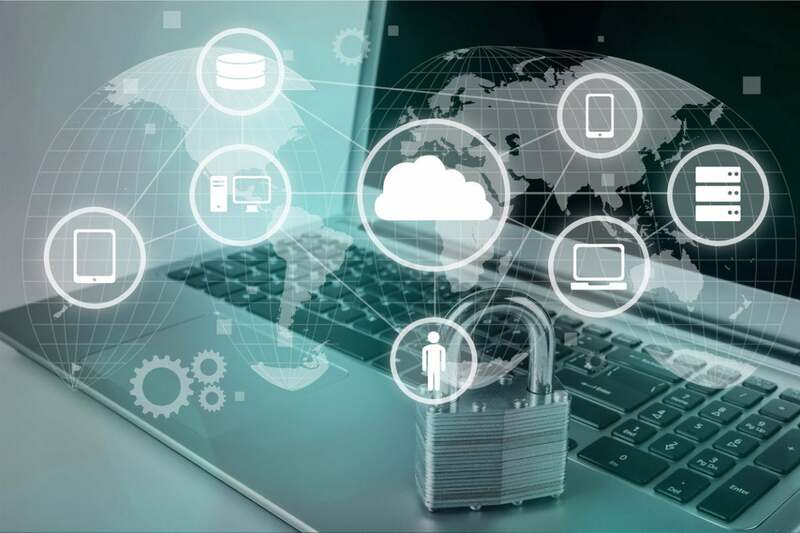 As organizations embrace IoT, cloud, and mobile technologies to transform their business, it’s clear that they’ll need to keep cybersecurity top of mind to reduce vulnerabilities and risk. Visit AT&T Managed Cybersecurity Services to learn more about emerging threats and the security priorities that demand your attention.